I ordered two sets of these bass strings, and both arrived with the gold finish tarnished - appearing burned in multiple places. That discoloration, however, did not appear to affect their sound. SBM was very understanding and amenable to resolving the issue when I contacted them. 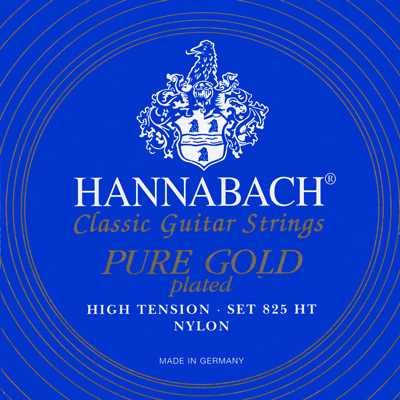 Fun strings. They have a bright tone and a quick response. Tension is quite similar to the Silver Special (815). They didn't last as long as I thought they would - didn't really have immunity to sweat that I figured would result from the gold plating. The gold actually wears off very quickly - perhaps it is a very thin coating. They also chew the nails down since they are coarser than other stings. I probably wouldn't use these again but definitely interesting to try them once.